In addition to our beautiful signature packaging, we also offer gift wrapping for most items. (Some large items are excluded). We appreciate our customers and it is our goal to make your gift giving as easy as possible. 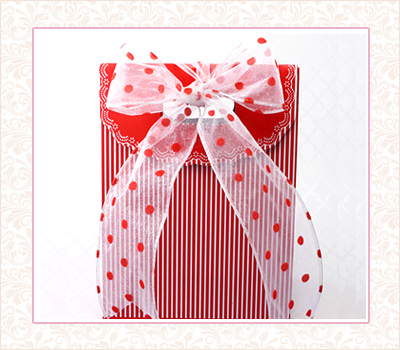 We give special attention to our gift wrappings - and we also offer free personalized gift cards. 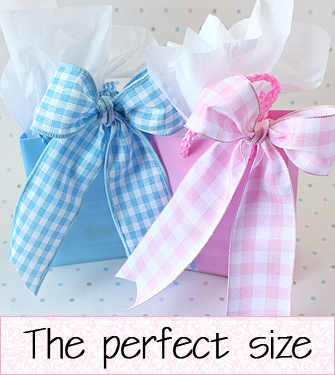 The gift wraps we use for our baby and children's jewelry is designed especially for them. 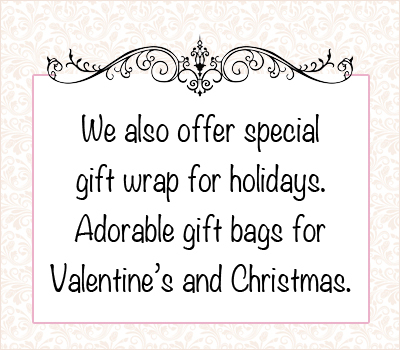 We use wrappings, bows, and gift cards that are made for children. We ship your wrapped gift in sturdy shipping boxes, carefully packed, so your gifts will arrive still looking wonderful! And we haven't forgotten mothers. We have beautiful gift wrapping for mother's and grandmother's gifts, too. Just like our children's jewelry, every piece of our adults jewelry is professionally boxed and wrapped with care. 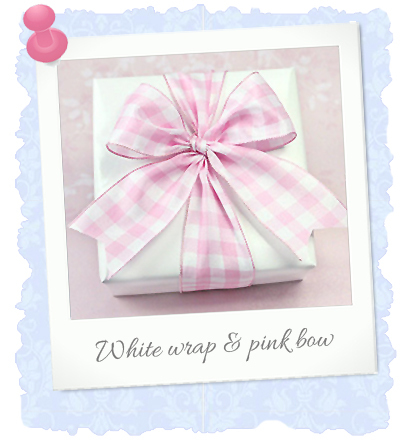 Our gift wrap for rings and earrings are special sized gift bags in either pink or blue. Rings and earrings are small and they need a special wrap to suit their size. Our frosted gift bags were specially chosen and are the perfect size. Your rings and earrings won't get lost in the bottom of a large bag. 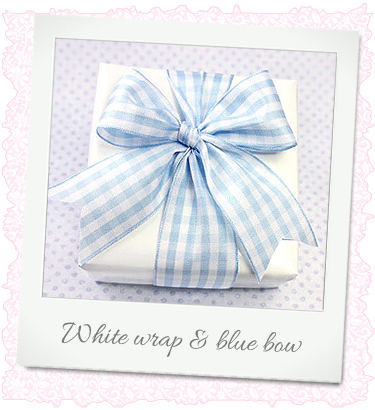 We also include tissue and our signature gingham bow. If you choose to have a free gift card - we'll tie it on the front of your gift bag for you! At The Gingham Grasshopper we will do our best to make your gift-giving easy and pleasant.